Made with a full metal base plate for superior strength at the double seal & also feature a silicone anti-drainback valve. Glass-enhanced media in WIX oil filters offers greater efficiency, capturing more 10 to 12 micron sized particles than other cellulose/synthetic blend medias. Use PART NUMBER drop down to select filter. 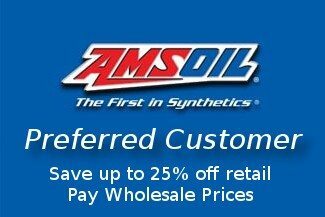 WIX filters are supplemental to AMSOIL Ea filters, but now AMSOIL offers WIX filtration products that cross to an Ea filter. 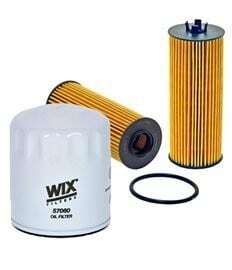 With the exception of WIX lube filters, all WIX filters should be changed in accordance with original equipment manufacturer’s (OEM) recommendations. WIX lube filter change intervals are extended OEM recommendations to match the drain intervals of AMSOIL XL Motor oil. To find the correct filter for your application, consult the Online Product Application Guide. 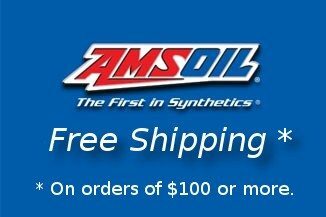 AMSOIL is carrying WIX racing filters in addition to filters for more common automotive and light truck applications. WIX has been a part of racing and NASCAR for many years, both as a sponsor and in the race cars. The company’s long-standing relationship with NASCAR not only demonstrates that WIX filters are high-quality products, but it also shows WIX’s dedication to racing, making it a perfect match for AMSOIL. Richard Petty began using WIX filters in 1967, winning six NASCAR championships with the help of WIX filtration technology. Currently, WIX filters are used on more than 20 Sprint Cup cars, including those of two-time champion Tony Stewart and 2007 Raybestos Rookie of the Year Juan Pablo Montoya. WIX is also an associate sponsor of Joe Gibbs Racing and maintains a partnership with Toyota Racing Development (TRD). WIX racing filters are specially designed for racing applications and are not intended for normal driving applications. AMSOIL will carry all WIX racing filters, which includes 10 oil, 14 air and 2 fuel filters.